In Exodus chapter 9 we read that “the Lord hardened Pharaoh’s heart and he would not listen to Moses and Aaron” (Exodus 9:12, NIV). This raises a difficult question among many people: Does God make people resist Him? And if so, how can it be just for Him to punish someone for what He Himself made them do? I believe that if we look deeper into both Exodus as well as the book of Romans and 2 Timothy, we see that this is not the case. When it comes to the account of Pharaoh’s heart being hardened in the Exodus story, it is crucial to note both the order of events as well as the Hebrew wording that is used. Before the text says anything about God hardening the heart of Pharaoh, we see that Pharaoh himself “hardened his heart and would not listen to Moses and Aaron” (Exodus 8:15, NIV). 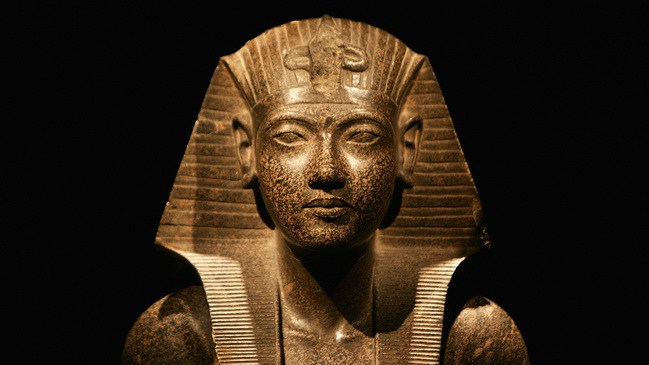 Only in the next chapter, after several more plagues have passed, do we see the narrative say that God hardened Pharaoh’s heart. This order is important, and it ties into how the word “hardened” is used. If we look at the Hebrew word that is used in chapter 8 for “hardened”, we find the word “kabed”. This word has the meaning of “being heavy”. If it is used as a verb, it essentially means to “make heavy” or to be “hard” or “stubborn”. Interestingly, when we get to the first moment, as well as each subsequent moment, in which the text says that God hardened Pharaoh’s heart, a different Hebrew word for “hardened” is used. Here the word is “hazaq”, which means to “strengthen” or to “encourage”. Putting all of this together, what we see is that the hardening of Pharaoh’s heart is a choice that he made himself and once he made it, God allowed him to be solidified in his resistance. This idea connects well with what we find in Romans chapter 9. Here Paul refers to the hardening of Pharaoh’s heart and associates this with a potter making things out of clay. Initially, this pottery metaphor seems to bring us back to square one: God does indeed make people resist Him and then punishes them for doing so. However, if we recognize this reference as finding its roots in Jeremiah, we see that this is not the case. In Jeremiah 18, we see that the potter forms the clay in accordance with how the clay itself chooses to act: If the “clay” (in this case Israel) repents then God will relent, and if the “clay” (Israel) does evil then God will “reconsider the good He had intended to do for it” (Jeremiah 18:10, NIV). Clearly then God doesn’t predetermine the formation of the clay, but rather He allows the clay to make its decision and then, in His sovereignty, forms the clay and responds to its shape accordingly. This understanding of the pottery metaphor also connects well with Paul’s usage of a similar metaphor in 2 Timothy. Here Paul states that there are various materials that the Master can use for His purposes. Gold and silver He uses for special purposes, and wood and clay He uses for common purposes. Paul then says that “those who cleanse themselves from the latter will be instruments for special purposes” (2 Timothy 2:21, NIV). Here we once again see that we play an active role in what kind of material we will be. With the help of God, we can become more like gold, but if we resist Him, we become more like wood. Either way, God will form us according to our desires and choices, and He will weave us into His purposes. As we can see from the passages mentioned above, the answer to the original question is “no”; God does not make people resist Him. Rather, He wields people for His purposes in accordance to their decisions and desires. In the case in Exodus, Pharaoh himself chose to be stubborn and harden his heart, and God then formed him according to that desire, strengthening his hardened heart. You can read more from Esa on his blog site - unfinnished.com.